Welcome to the Pronto section of the website. 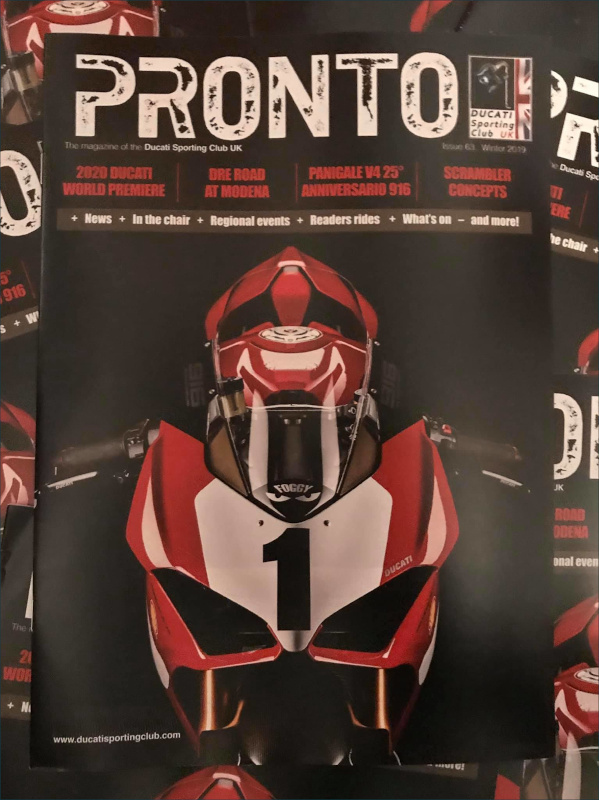 Keep your eyes peeled for regular updates, news on forthcoming articles and other Pronto information. Also watch out for special members only features and sections in the near future and remember, its YOUR magazine, so make it as good as YOU want it to be! How the Ducati Sporting Club Ruined My Life!